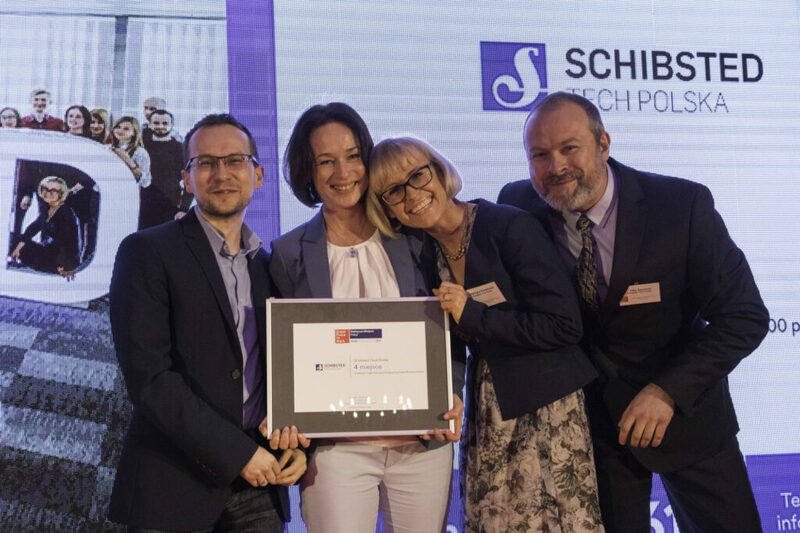 Schibsted Tech Polska officially The Best Workplace in Poland 2019! And that’s only one of three awards granted by Great Place to Work at the today’s ceremony. It was the first time ever Schibsted Tech Polska took part in the survey. That resulted in the “Great Place to Work Certified” that we received back in July 2018 (the first of this kind in Poland). 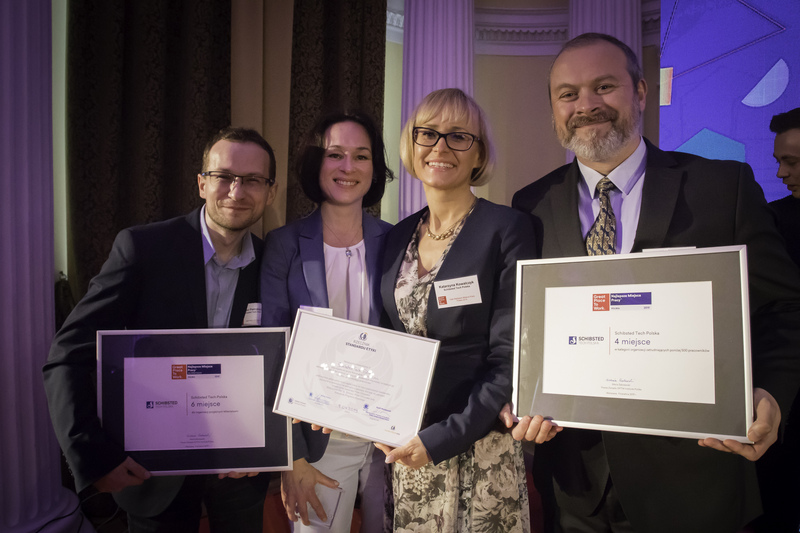 Today, at the annual ceremony held in Warsaw Schibsted Tech Polska received three awards – Best Place to Work (securing #4 spot out of 16 companies), Best Place to Work for Millennials and the special Code of Conduct certificate. That puts Schibsted Tech Polska in the elite group of few companies in Poland allowed to use “The Best Workplace in Poland” certification. “It is a huge success for us. Especially, because it’s the first time we receive this award. And we hope to stay here for a longer time. A Great Place Place to work is not possible without people. And this success is not only the result of the management team’s work but more importantly, our employees’. 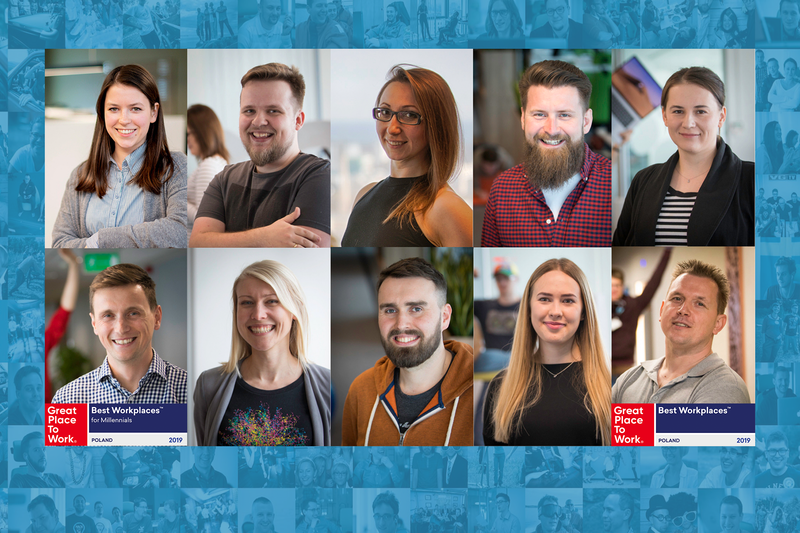 We have a privilege to work with fantastic people at Schibsted Tech Polska – talented, passionate and engaged. I would like to dedicate this award to all of them.” – said Katarzyna Kowalczyk, Country Manager at Schibsted Tech Polska. It was a huge day for Schibsted Media Group, with Prisjakt Poland securing the top spot. From the left, Katarzyna Kowalczyk, Country Manager of Schibsted Tech Polska and Natalia Kalamarz, Site Manager of Prisjakt Poland. What does it mean for STP? Each of the companies receiving the award has over 80% of employees general satisfaction. Those companies are later divided into three groups (below 50 employees, below 500 and over 500). Being on Top 4 means that in many areas Schibsted Tech Polska had to be reviewed close to 100%. These were people and atmosphere, opportunities for development and the benefits package. The Best Workplace for Millennials concentrates on people that when started their career, set the bar of expectations higher, making it more challenging for employers. In this category all of the companies were reviewed together, no matter the size, so being in Top 6 is another remarkable achievement for Schibsted Tech Polska. The 200th employee is expected to be hired very soon and together with a planned move to HighFive in Kraków and many open positions to the newly established teams shows that the future of the company is bright and exciting. 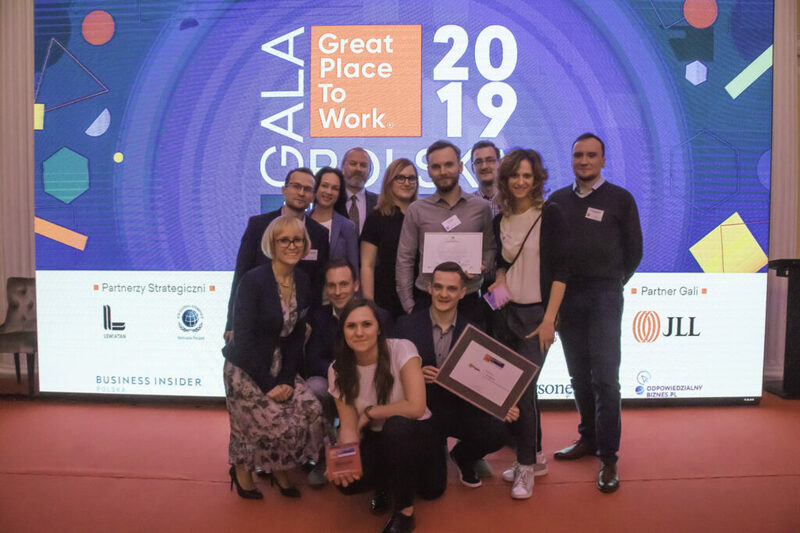 Prisjakt Poland is another Schibsted company in Kraków (with around 130 employees) and was named The Best Workplace in Poland, securing the top spot during the ceremony! Congratulations!